Here I am writing about my eyebrows. I decided to reshape them and wanted to go that bit more dramatic then the normal eyebrow shape. I have been letting my brows grow for awhile now to be able to shape them perfectly and what better thing to do whilst waiting for the clock to stick 5pm to go pick up my boyfriend at the airport! (yes he's been away to visit his family in sicily that i wanted these last couple of hours to fly by) And what better way to kill time then reshaping my eyebrows. As you can hopefully see my brows on the left look a right mess, seriously they did!! and the newly shaped brow on the right was the right shape i had been meaning to go for. Now it's safe to say i have more room space for my eyeshadows! 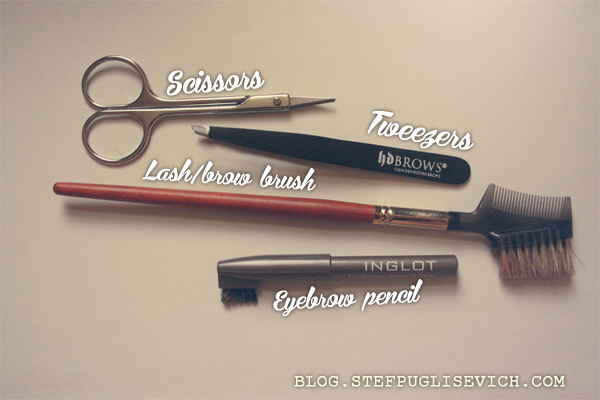 Here is what i used to reshape my brows! 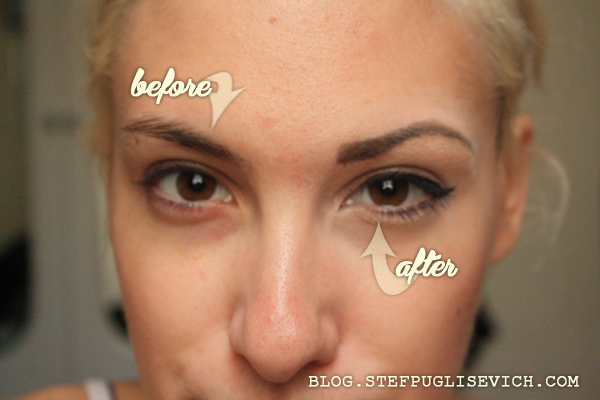 ARE YOU HAPPY WITH THE SHAPE OF YOUR EYEBROWS? we love your blog is fantastic!!! sure i checked out your blog and followed! loved it! Gorgeous eyebrows, they make such a difference...I'm obsessed with doing mine too! I know, they do don't they? It changes the whole face ! Thanks doll, love your blog keep up the good work, followed you!